RFID, or radio-frequency identification, is a simple, effective technology for identifying and tracking assets, merchandise, and even personnel. Manufacturers can use RFID to track products from the moment they’re created to the moment they’re sold; farmers use it to keep tabs on livestock, it enables drive-through payment at highway tolls, and it is used in access control technology to secure facilities and grant access to personnel. 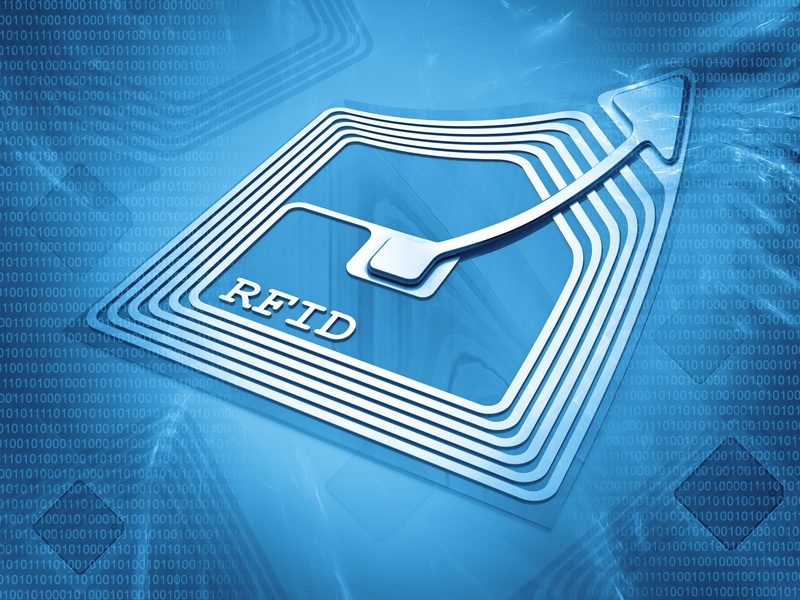 RFID tags have been around since 1970, but dramatic cost reductions and improvements in related technologies have spurred an enormous increase in adoption and use in recent years. Unlike traditional bar codes, RFID tags do not need to be physically scanned at each location, won’t smudge, rip or tear like paper-printed bar codes, and have the capability to store data. An RFID tag can store two kilobytes of data and consists of several component parts depending on which type of tag it is: active, semi-passive, or passive. Passive RFID tags rely entirely on the RFID reader as their power source and are often manufactured to be disposable. Active and semi-passive tags contain a battery in addition to their microchip to support longer read distances. All RFID tags are contained within a barrier made of plastic, silicon, glass, or other materials. Each RFID tag works in essentially the same way: RFID tags are energized by electromagnetic field energy from a compatible reader. Data stored within an RFID tag’s microchip is transferred to the RFID reader in response. Passive tags do this by controlling the impedance of their antenna, while active tags broadcast the data. RFID tags are multi-capable devices that can be used to track your assets through a system such as Morse Watchmans’ AssetWatcher, which is designed to use RFID technology to tell you whether or not items are inside secure lockers. Learn more about how AssetWatcher can help you protect important assets.